What are the Ninja Games? At the Ninja Games competition, each Ninja will participate in a FOCUS and a CHALLENGE. 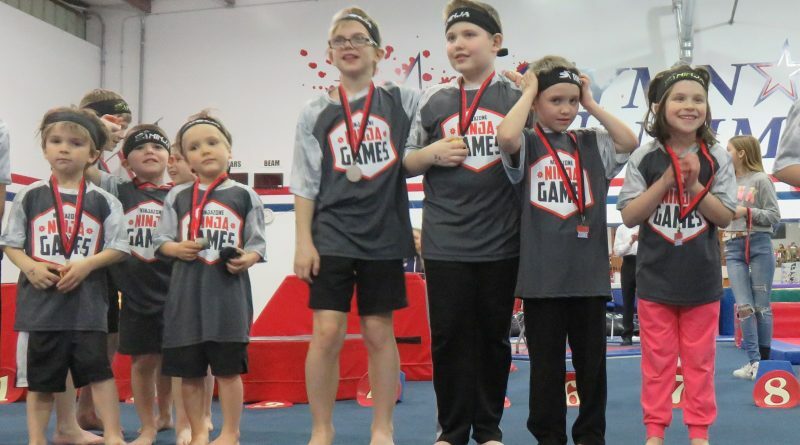 These events combine skill, precision, and speed along obstacle courses throughout the gym. Each Ninja will receive a combined score from both events based upon Completion Time, Accuracy, and Form. Medals are awarded to the competitors with the highest combined scores. All Ninjas, boys and girls, ages 5+ must be currently enrolled in a Ninja class. Each Ninja participating is REQUIRED to take 3 of the 5 Ninja Training Sessions to prepare for the specific routines and etiquette at the games. Registration is now closed for this year’s games. Why Training Sessions? What is the purpose of my Ninja doing the required sessions? The training sessions will prepare Ninjas for the specific skills that will be tested Focus and Challenge, along with what is expected of a Ninja at the Ninja Games. What do the Ninjas need to wear to participate in the event? They MUST wear the shirt included with their Ninja Games Registration Package and the Ninja Headband that they use in class. Can my Ninja bring guests to watch? Yes! In addition to the four entry tickets included in your entry fee; additional tickets may be purchased at the door. April is a busy month for us with All School Meet and other meets going on. As a result there will be NO FRIDAY OPEN GYMS in April. And don't forget Spring Break April 19th to April 25th!